Elicit and use evidence of student thinking using Splats. What will/did you learn? Write to describe your quest for Closest to One using Open Middle worksheet with I can show my work so a reader understands without asking me questions. Kelemanik, Grace, and Amy Lucent. “Starting the Year with Contemplate Then Calculate.” Fostering Math Practices. Kaplinsky, Robert, and Peter Morris. “Closest to One.” Open Middle. Statmore, Elizabeth. 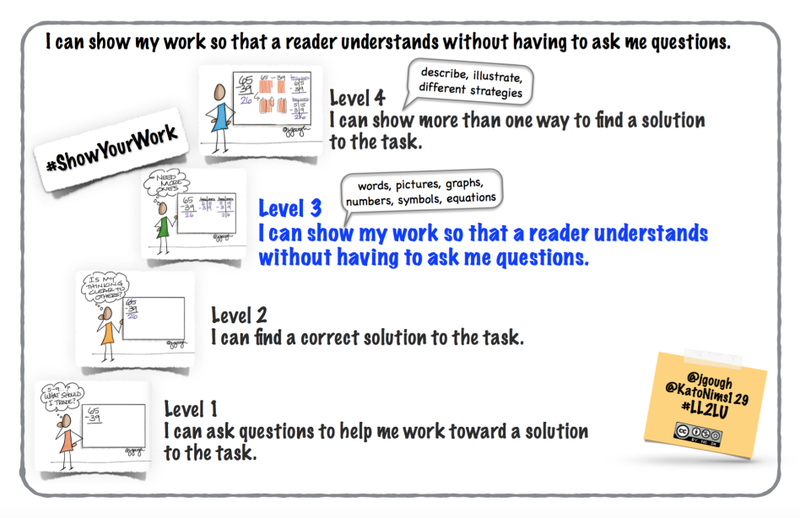 “Cheesemonkey Wonders.” #TMC14 GWWG: Talking Points Activity – Cultivating Exploratory Talk through a Growth Mindset Activity, 1 Jan. 1970. Wyborney, Steve. “Splat!” Steve Wyborney’s Blog: I’m on a Learning Mission., 8 Mar. 2017. Wyborney, Steve. “The Fraction Splat! Series.” Steve Wyborney’s Blog: I’m on a Learning Mission., 26 Mar. 2017. Becky Holden (@bholden86) and I attended Twitter Math Camp (#TMC17) at Holy Innocents Episcopal School in Atlanta, GA from Thursday, July 27 to Sunday, July 30. To honor Carl Oliver‘s (@carloliwitter) #PushSend request/challenge, here are my sketch notes from the sessions I attended. 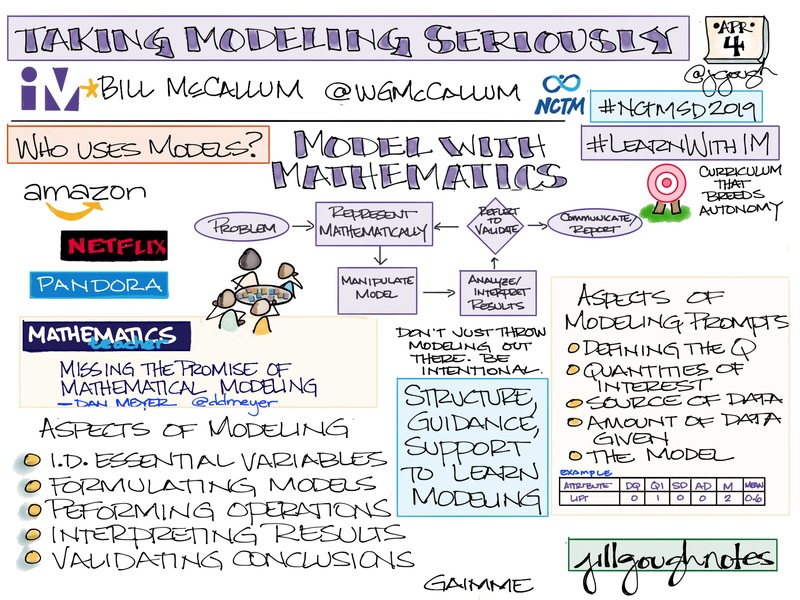 What does it mean to say that mathematics teaching is political, and what does that mean for our moral and ethical responsibility as mathematics teachers? What is not captured in my notes is play: game night, trivia, crocheting, and tons of fun. How might we grow, learn, and play in community when together and when apart? Below are my notes from each session that I attended and a few of the lasting takeaways. 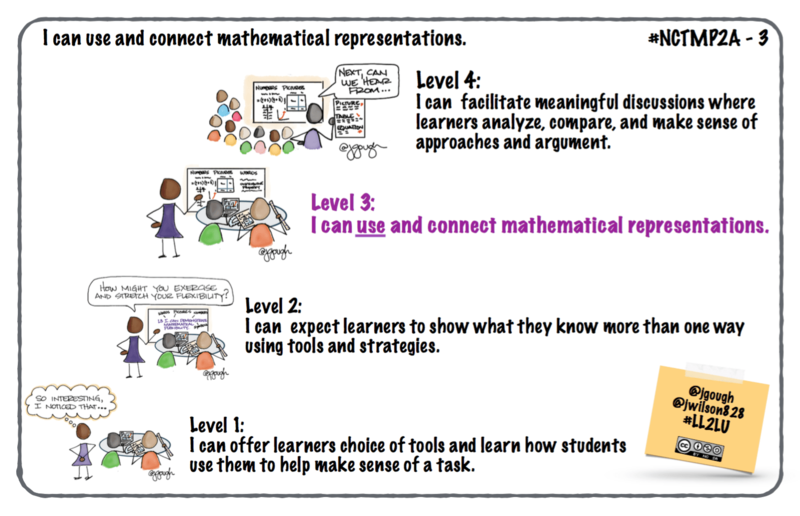 The Illustrative Mathematics team challenged us to learn together: learn more about our students, learn more about our content, learn more about essentials for our grade and the grades around us. How might we learn a lot together? Graham Fletcher teamed with Arjan Khalsa. While the title was Digital Tools and Three-Act Tasks: Marriage Made in the Cloud, the elegant pedagogy and intentional teacher moves modeled to connect 3-act tasks to Smith/Stein’s 5 Practices was masterful. 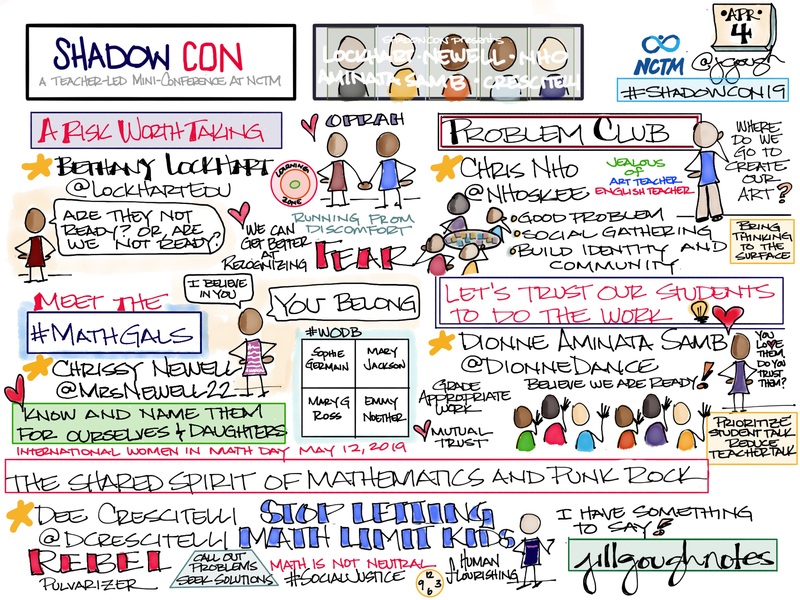 Jennifer Wilson‘s #SlowMath movement calls for all to S..L..O..W d..o..w..n and savor the mathematics. Notice and note what changes and what stays the same; look for and express regularity in repeated reasoning; deepen understanding through and around productive struggle. Time is a variable; learning is the constant. Embrace flexibility and design for learning. Bill McCallum challenges us to mix memory AND understanding. He used John Masefield’s Sea Fever to highlight the need for both. Memorization is temporary; learners must make sense and understand to transfer to long-term memory. How might we connect imagery and poetry of words to our discipline? What if we teach multiple representations as “same story, different verse”? Uri Treisman connects Carol Dweck’s mindsets work to nurturing students’ mathematical competence. Learners persist more often when they have a positive view of their struggle. How might we bright spot learners’ work and help them deepen their sense of belonging in our classrooms and as mathematicians? Jennifer Wilson shared James Popham’s stages of formative assessment in a school community. How might we learn and plan together? What if our team meetings focus on the instructional core, the relationships between learners, teachers, and the content? Michelle Rinehart asks about our intentional leadership moves. How are we serving our learners and our colleagues as a growth advocate? Do we bright spot the work of others as we learn from them? What if we team together to target struggle, to promote productive struggle, and to persevere? Do we reflect on our leadership moves? Karim Ani asked how often we offered tasks that facilitate learning where math is used to understand the world. How might we reflect on how often we use the world to learn about math and how often we use math to understand the world in which we live? Offer learners relevance. Zac Champagne started off the final day of #NCSM16 with 10 lessons for teacher-learners informed from practice through research. How might we listen to learn what our learners already know? What if we blur assessment and instruction together to learn more about our learners and what they already know? Eli Luberoff and Kim Sadler created social chatter that matters using Desmos activities that offered learners the opportunities to ask and answer questions in pairs. How might we leverage both synchronous and asynchronous communication to give learners voice and “hear” them? Fred Dillon and Melissa Boston facilitated a task to highlight NCTM’s Principles to Actions ToolKit to promote productive struggle. This connecting, for me, to the instructional core. How might we design intentional learning episodes that connect content, process and teacher moves? How might we persevere to promote productive struggle? We take away productive struggle opportunities for learners when we shorten our wait time and tell.